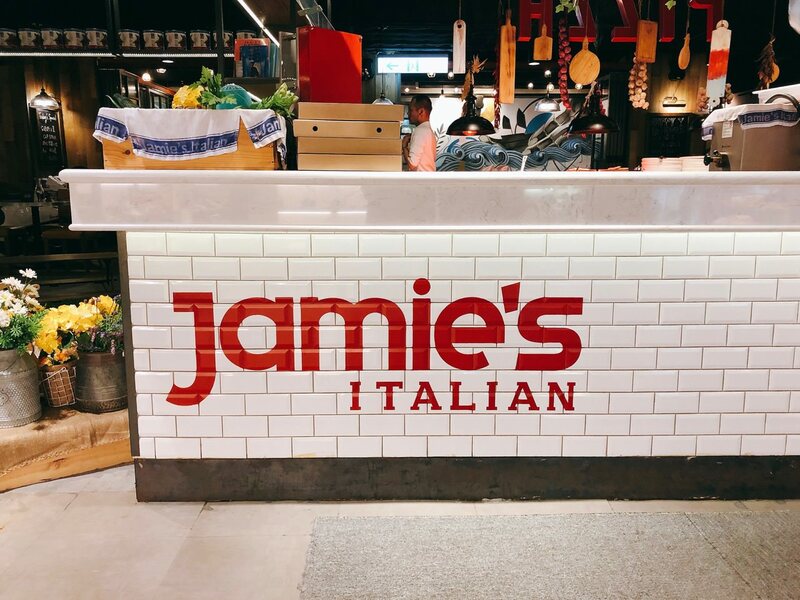 Jamie Italian’s 台北餐廳是 Jamie Oliver 主廚的海外分店之一, 這次很高興受邀參加近期新推出的 Jamie Italian’s Happy Hour 菜單餐會. 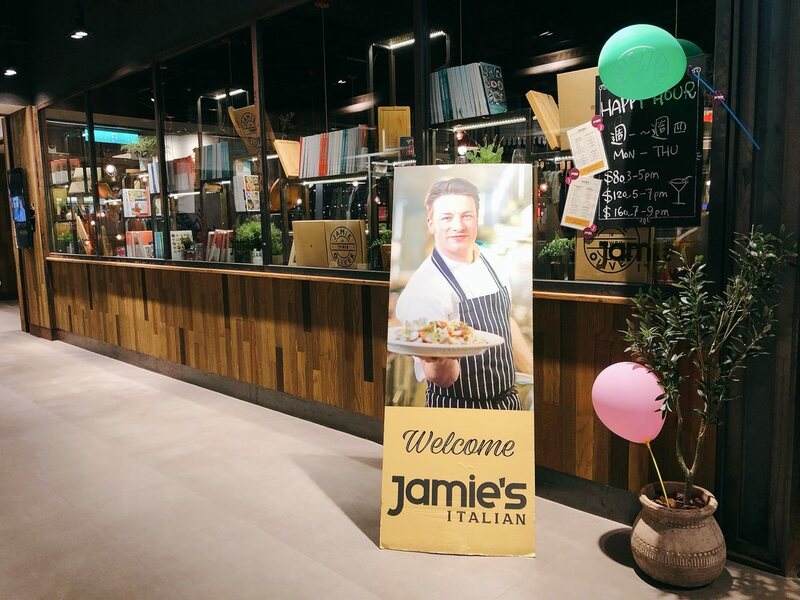 Jamie Oliver opened Jamie Italian’s Restaurant oversea branch at Taipei Xinyi District. I am honored to be invited to try out its recent Happy Hour Menu. 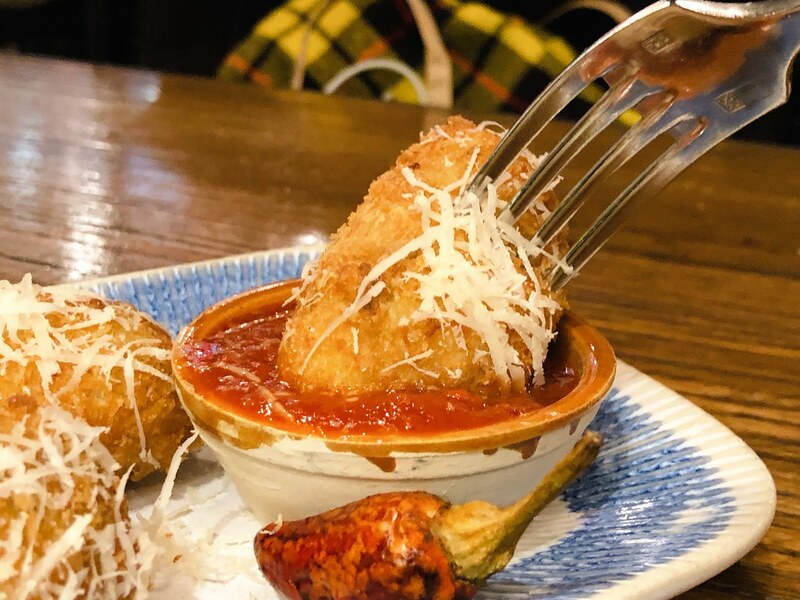 Jamie Italian’s 位於新光三越 A11 3 樓, 也就是有 “檀島香港茶餐廳” 和 “Miacucina” 的那一棟百貨公司, 下午並沒有休息時間, 推出較為優惠的 Happy Hour 時段菜單讓信義區逛街人潮多一種選擇. 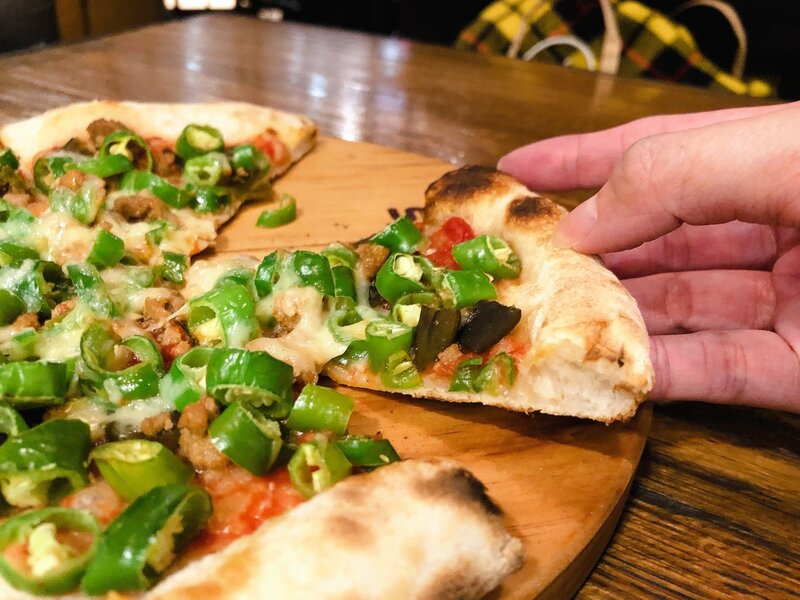 圖一是Happy Hour 優惠餐點部分, 最大的不同是 Pizza 部分, 平常菜單的 Pizza 是 10 ~ 12 吋不規則規格, Happy Hour 的 Pizza 是 8 吋, 價格相對地較低. 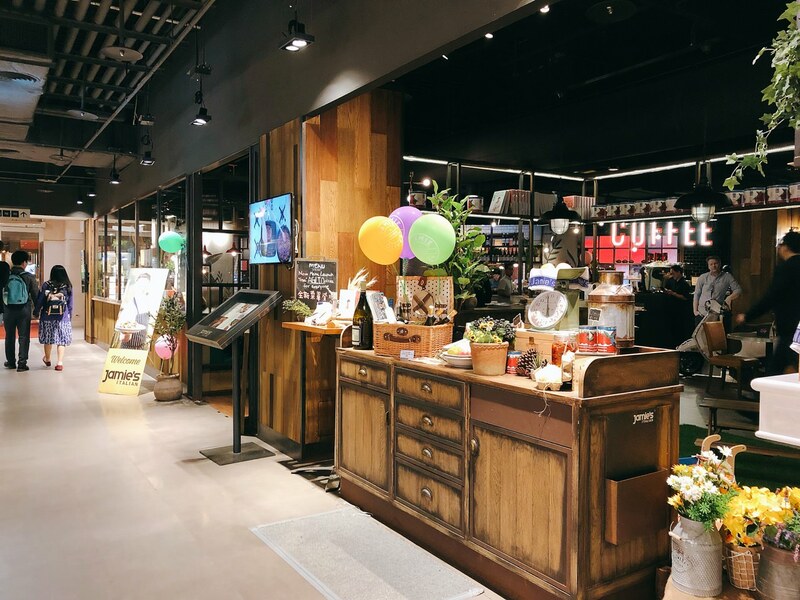 Jamie Italian’s is located at XINYI SHINKONG MITSUKOSHI Mall A11 3F. There are “Miacucina” and “Honolulu Cafe” at the same building. 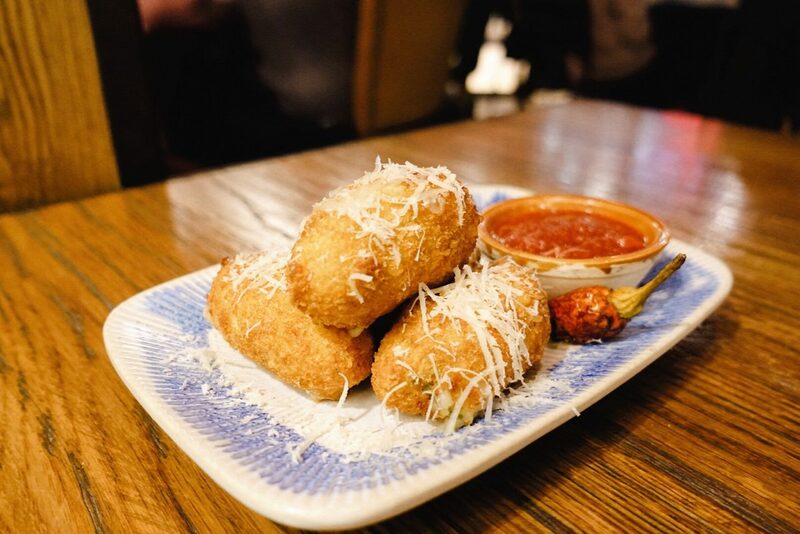 Jamie Italian’s now promotes its Happy Hour Menu. The most different part would be the size of the Pizza. The regular menu is 10 ~ 12 inch pizza. However, the pizza at Happy Hour menu is 8 inch, and the price is of course lower. 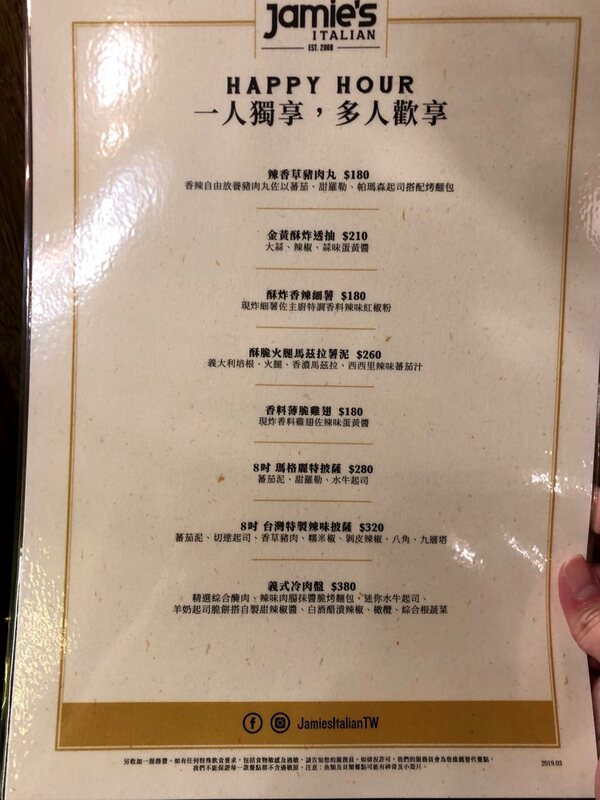 圖二是Happy Hour 優惠飲品部分, 比 “Wildwood Happy Hour” 酒精選項更多, 也有無酒精特調, 價格分為三個時段, 一目了然. 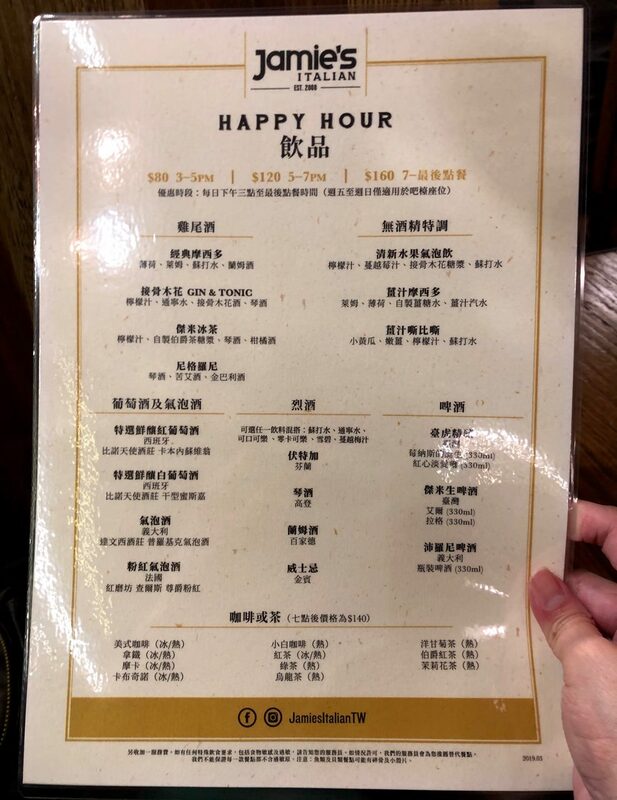 2nd Picture is the Happy Hour Drink Menu. 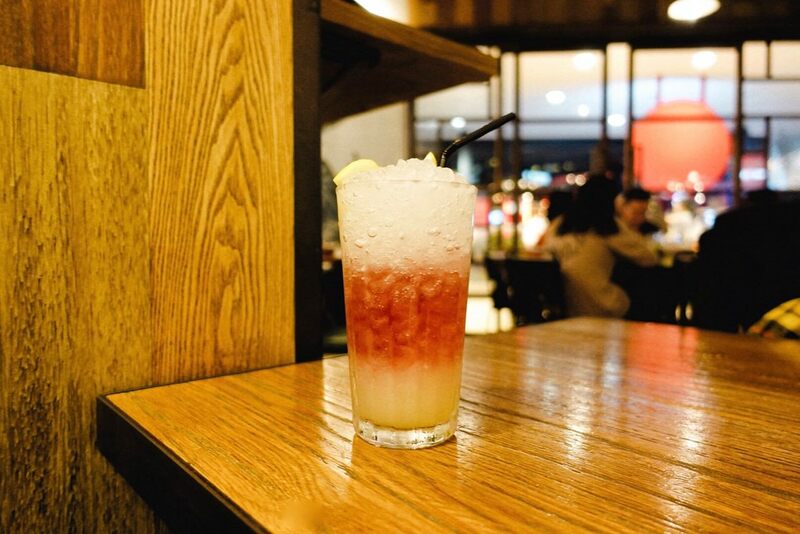 Comparing with “Wildwood Happy Hour”, Jamie Italian’s has more items (such as mocktail, cocktail and many more). There are also different prices during different time. 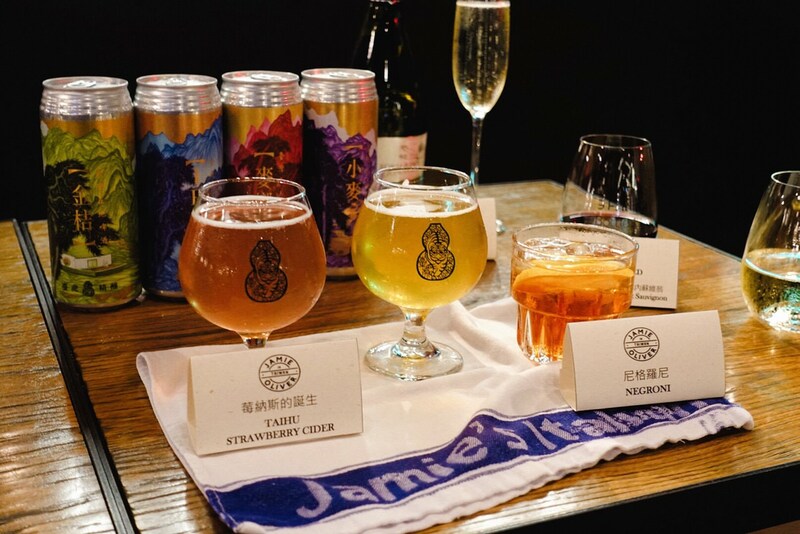 在 2017 年一訪 台北 Jamie Italian’s 時, 就已品嚐過這款台灣特製辣味比薩. 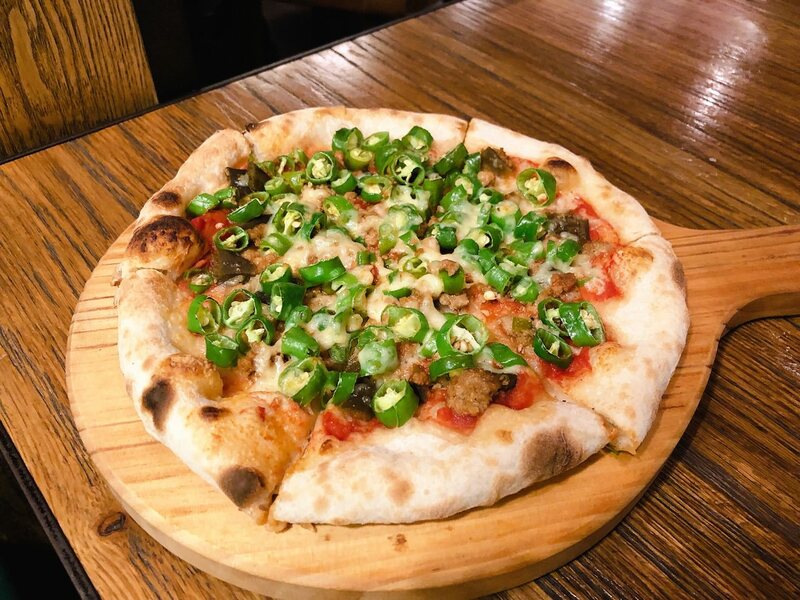 此款Pizza 是採用少數台灣食材, 例如在“豐舍 B.B.R” 吃到的剝皮辣椒, 和在 “INGE’S Bar & Grill 景觀餐廳“吃到的糯米椒. 光是看到各種熟悉的在地食材時, 就已感受到台味十足的風格. 品嚐這款比薩時,肉香充足, 舌尖感受到的微辛香來自比薩上的鹹豬肉, 整體並不會過於辛辣或是過於重口味, 平常只吃小辣的人應該可以接受. 這款薄皮比薩偏軟, 我個人偏好酥脆口感. 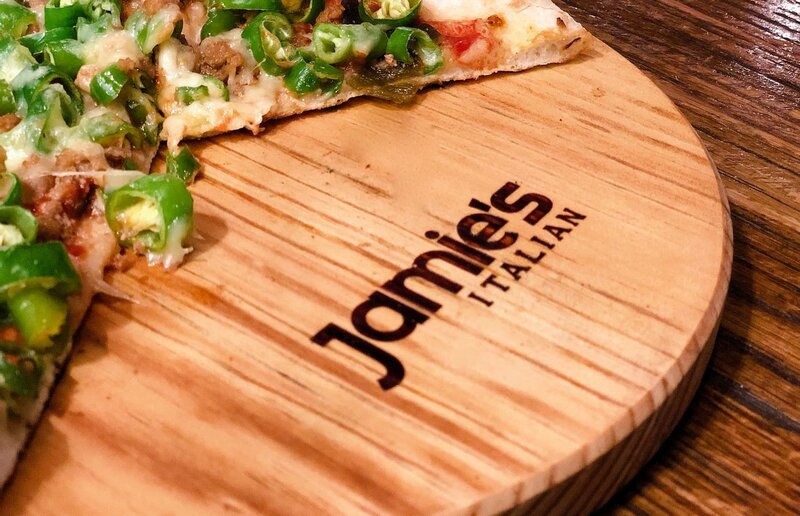 When I first visited Jamie Italian’s at 2017, I already tried out this Taiwanese Style Spicy Pizza. 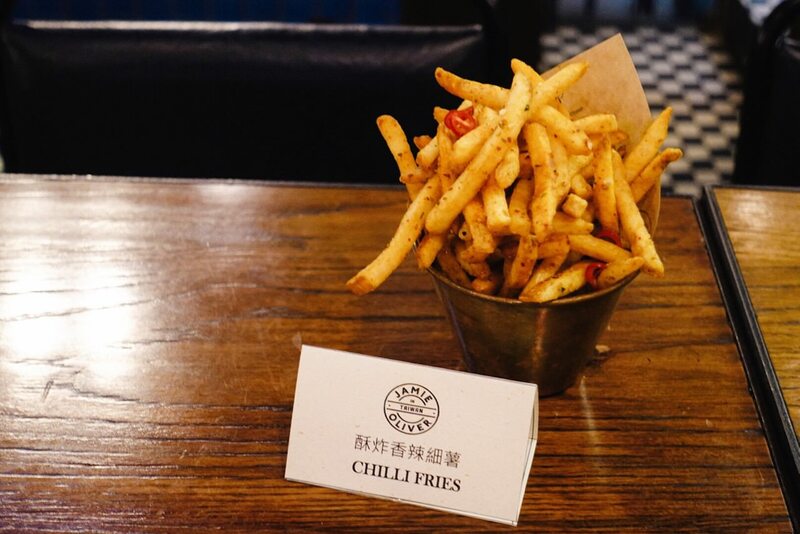 The chef uses several Taiwanese local ingredients – such as peeled chili and sweet chili. There are full of meaty aroma. 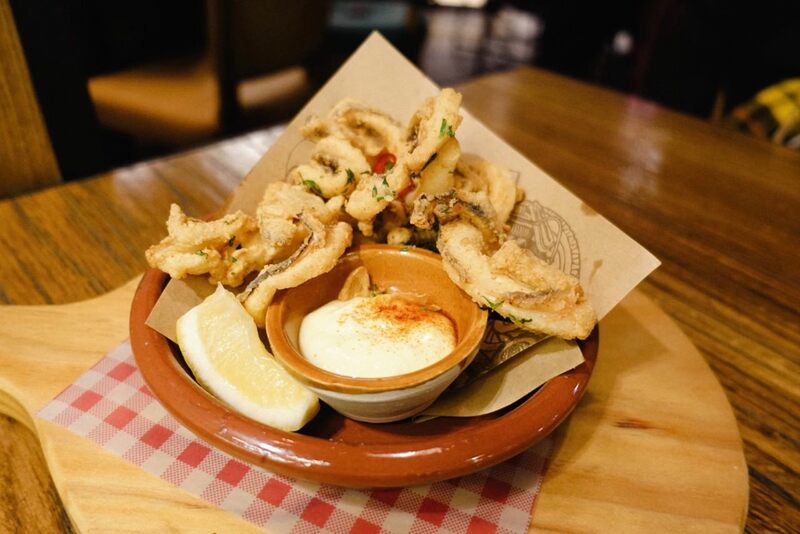 The tastebuds would sense the hints of spicy stimulation, which comes from the salty pork ingredients. I am sure that most people would accept this level of hints of spiciness. This particular pizza has thin crust but with soft texture. I personally prefer crispy texture. 若怕過於油膩, 可擠隨盤附的檸檬切片, 叉進炸透抽時有ㄎㄠˇ一聲, 單吃口感酥脆, 並沒有油耗味, 我會建議沾一旁的暖黃色蒜味蛋黃醬 (Aioli醬) 增加風味, 也間接讓酥炸透抽不會過乾, 這份菜餚比較適合兩人分享. 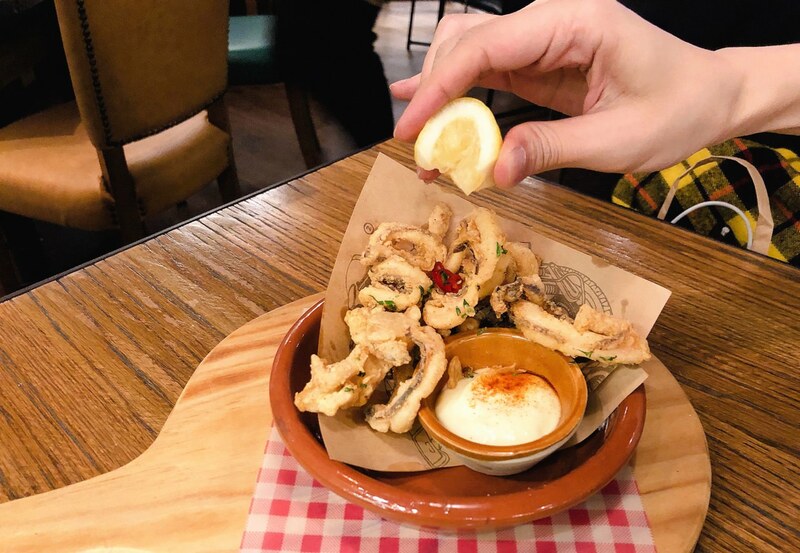 If you are afraid of oily dish, you can squeeze lemon on the top of fried calamari. 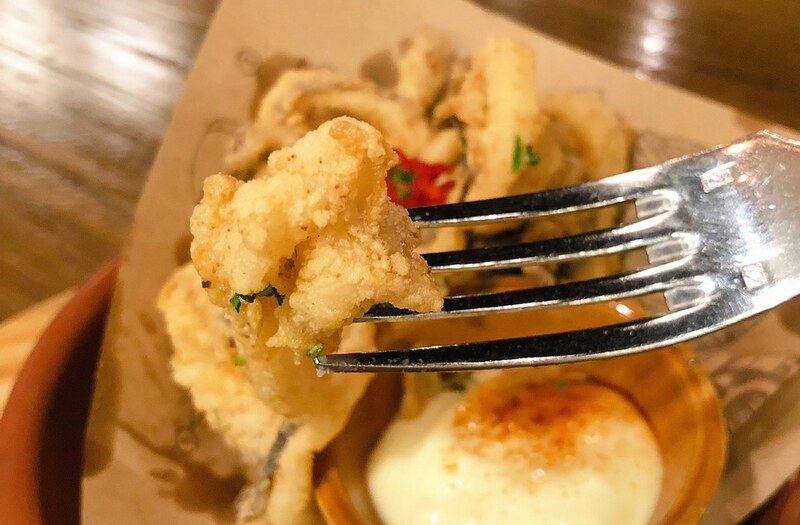 The fried calamari has the great crispy texture. I would suggest to dip into the aioli sauce to add layers of flavors. It would also add more moist at the Fried Calamri. It would be suitable for two people to share. 鹹香火腿與馬鈴薯泥內餡是絕配, 內餡口感如預期地綿密, 只是微薄金褐色麵衣並不夠酥脆, 偏濕潤柔軟, 較為可惜. 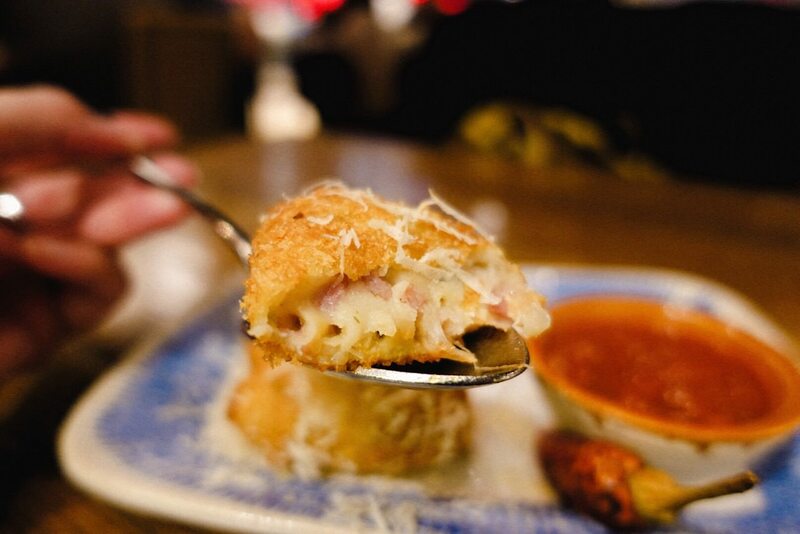 The salty ham and mashed potato are perfect pairing. The filling is as creamy as expected. However, the coating is a bit too soft. 其實這款莓納斯的誕生酒體應是粉嫩色, 在室內黃光照射下, 這款臺虎精釀呈現偏金褐色.莓納斯的誕生是有微氣泡的草莓蘋果酒, 我個人認為是以甜草莓風味為主軸, 酸甜蘋果風味加強甜度外, 也置入些許酸度. 我會建議盡快喝完, 以免逐漸變得更甜. This strawberry cider beer color should be a bit of pink color. However, under the dim light, this beer appears to be golden brown color. 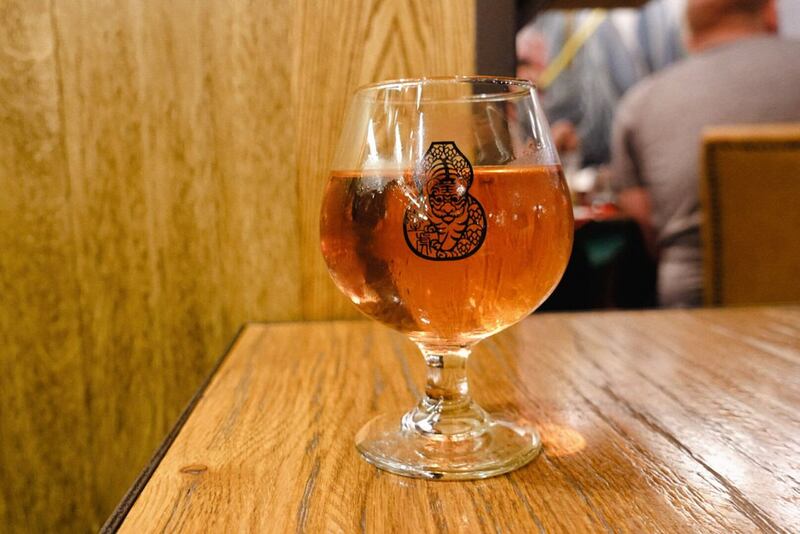 The beer is dominated by sweet strawberry flavor along with acidity from the apple. I would suggest to finish the drink fast. The taste would be sweeter by the minutes. 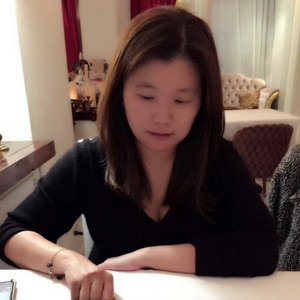 漸層的設計相當討喜, 喝之前建議先將漸層攪和, 讓檸檬汁與蔓越梅汁能夠融合在一起, 蔓越梅果香酸甜味與蘇打水的氣泡挑逗著舌尖, 若是你喜歡果香飲料, 這款會蠻適合你. The layers image is beautiful. I would suggest to stir the drink to let the lemon juice and raspberry juice mixing together. The raspberry flavor and sparkling stimulate the tastebuds. If you like the fruity flavor, you would like this drink. 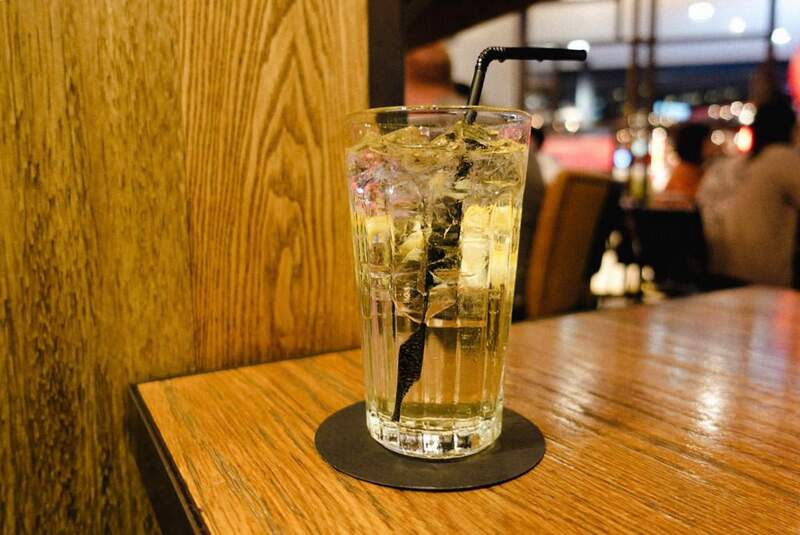 由於價格較低, 可理解這款 Gin Tonic 的琴酒基酒不會過於濃烈. Since the price is low, I can understand that the restaurant didn’t add more gin into this Gin & Tonic Cocktail. I only take a few pictures of several other dishes that I didn’t try. 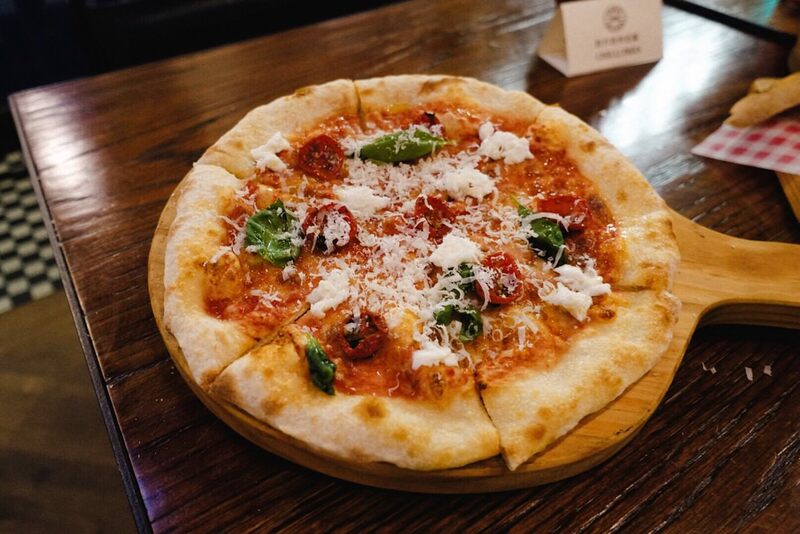 Those dishes include Margherita Pizza, Chili Fries…. etc.